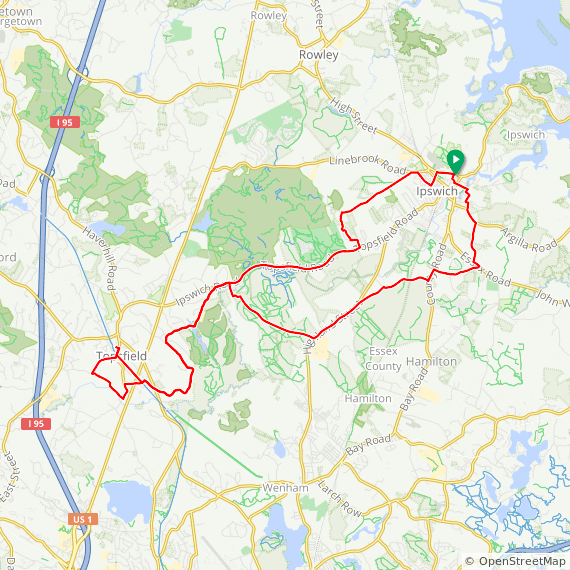 Ride from Ipswich MA to Topsfield, a charming New England village. A private driveway is used to connect Pineswamp and Topsfield Roads, then continue along beautiful Perkins Row takes you through the Ipswich River Sanctuary before arriving in Topsfield. 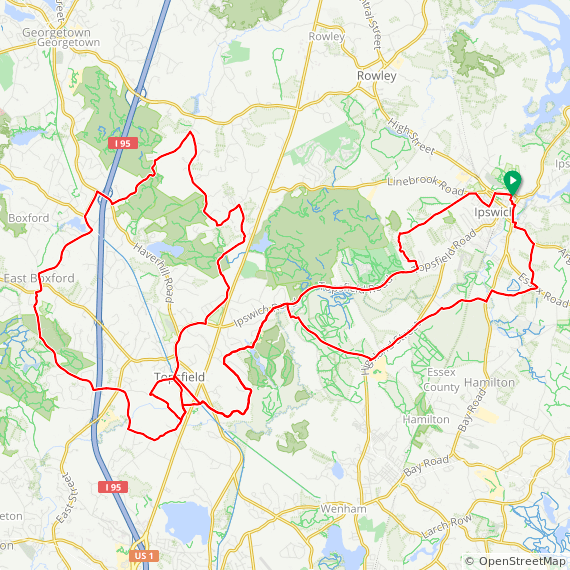 The long route adds a loop through parts of Ipswich and Boxford west of Rt. 1. Both loops return through Bradley Palmer State Park to Ipswich. You may wish to stop at Foote Brothers Canoes to enjoy an hour or two of self-guided canoeing or kayaking on the Ipswich River. From Topsfield, you can add on the Topsfield-Danvers Rail Trail passing through the Great Wenham Swamp. Note: Pineswamp Rd. in Ipswich connects with Topsfield Road by use of a private driveway. The alternative is to take Topsfield Rd. from Ipswich to Topsfield.